So glad it's Friday and the beginning of a 3 day weekend - yippee! I saw that the Winter Wonderland challenge on their blog today was "show us your metal" so I have this lovely Jingle Tilda card. 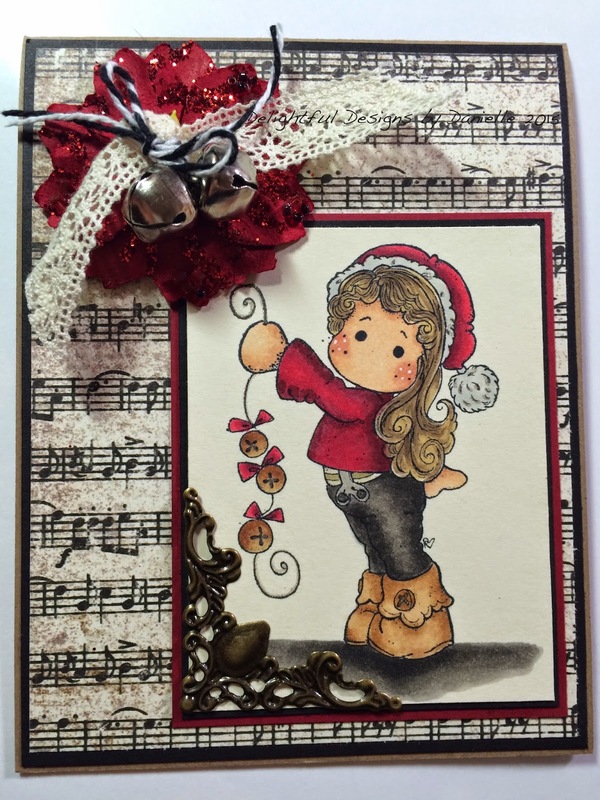 I loved using real bells as embellishments and a vintage style metal filigree corner. Tilda is coloured with copics and the paper is Graphic 45. This has to be one of my favourite winter/christmas Tilda images - she's just so cute! Thanks for stopping in today and I hope you are able to leave a message and say hi! Have a wonderful weekend! Oh its so good to see you back! So nice to hear from you!!!!! Wow...a lot of changes to your life! All good though! Your puppy....oh my what an adorable furball! I was so happy to see your card tonight! I see you still love your Maggies! LOVE your card!!!!! !